HDTV decoders nbox recorder- Receivers PVR Twin HD PVR disk or disk- Two different decoders Polish platforms, for example, Cyfra and Cyfrowy Polsat. 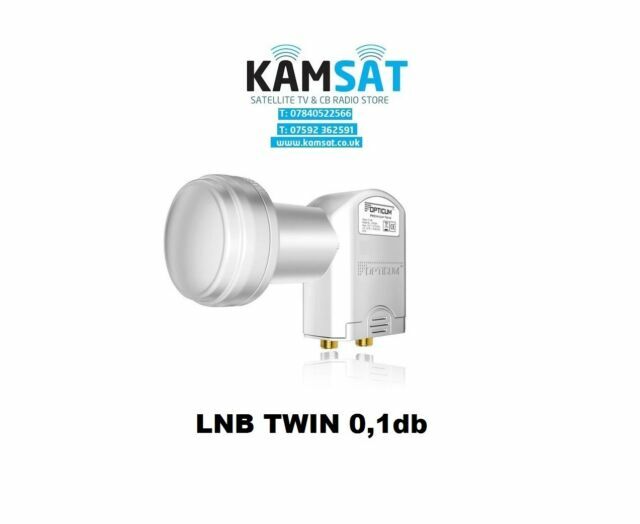 One of the cheapest 4k LNB Universal Twin Opticum with the symbol LTP-04H. High quality product at a very competitive price. Over the past few days my sat. picture was beginning to pixellate and drop out, signal level was very variable so I suspected the LNB was past its best after 5 years ouside, though it had been a mid to higher priced model. I replaced it with one of these Opticum units (which I see are made in Poland) just to establish whether the fault actually lay with the original LNB. What a difference! The HD picture from continental stations (on Hotbird) is startling in its clarity and even with a heavily overcast sky the signal level is up by about 5% on its previous best. I also like the thoughtful pull-down shroud to cover the connectors from rain. Nice touch! A reall quality LNB at an excellent price. Dziekuje. Thanks. This product has a robust feel and looks good fitted to my dish. Good product works well and would recommend it as a direct replacement for other makes of twin LNB.